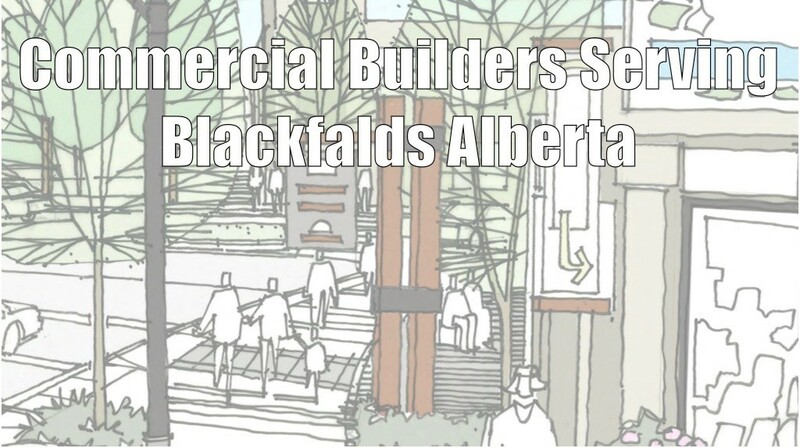 Only 20 minutes from our Sylvan Lake construction company, Blackfalds recently made our list of other Central Alberta towns to consider for your commercial build. As one of the fastest growing populations in all of Canada, this town presents a ton of opportunity for commercial businesses of all shapes and sizes. Its smack-dab-in-the-middle proximity to all of the province’s bustling cities and towns is a given, so this article will dive into the other big selling points that are applicable to your commercial enterprise. As stated above, Blackfalds is one of the fastest growing communities in Canada. Hitting 8,793 residents in 2015, projections indicate a population of 24,927 by 2030. The trading area equals access to over 250,000 people. These are impressive numbers, providing very positive implications for your commercial business. The quick growth is expected due to the nature of the population. Over half of the population lands between the 21-40 year old age group (over 70% in total are 40 years or under) and they are educated (post-secondary diplomas and/or university degrees) and skilled in a wide variety of industries. They also plan on sticking around this provincial land of opportunity. Blackfalds may be well known for its industrial/agricultural sectors but this all serves to support commercial interests, especially if your commercial brand depends in-part upon B2B transactions. Simply put, you have access to a growing population with disposable income (noted in time #1 above) and a wealth of commercial business service sales opportunities – the perfect storm, so to speak. Blackfalds tourism is another source of commercial revenue. Historical attractions, outdoor recreation, campgrounds (including Burbank and Watipi), the Trans Canada Trail, and a schedule of farmers/artisan markets and annual festivals continue to draw interest from far and wide. The ease of entry into the Blackfalds market is one of the most attractive qualifiers for building in this Central Alberta town. Currently, the town’s downtown revitalization project is setting the table for a slew of up and coming retail and business services. New commercial construction continues to break ground. Over the past three years building permit issuance for commercial builds has totaled $13,529,497. Your build all starts with the completion of the application for a commercial development permit here. Municipal support aside, Blackfalds is known for its powerful business network and community values that emphasize buying local. You already know the cost benefits of building in Alberta – no provincial retail sales tax, provincial capital or payroll taxes, machinery or equipment tax. Blackfalds commercial businesses also benefit from no additional municipal business tax and lower utility rates. More importantly, our commercial contracting services include budget conscious options such as design-build – a coordinated packaging of construction services that reduce your overall costs. Given Blackfalds’ closeness to Sylvan Lake, you gain immediate access to our construction company. Apple Building Systems is vastly experienced in the well-known markets of Sylvan Lake, Red Deer and the surrounding area, having completed successful industrial, municipal, and commercial projects around the province. We understand big markets, but as a staple in the community, we operate with the sensitive and personal touch that small town markets demand. Contact us at 403-887-2291 to learn more.